Nested in the mountains above the Ironflow River is a temple consecrated to a water goddess – a path leads up to the temple from the west, but from the south face you can see not only the two temple structures cut into the face of the mountain, but also a long section of stairs leading between the lower and upper temples. The temple is essentially divided into three sections – the lower temple, the upper temple and the secret temple. The lower temple is all that most people who make the climb into the mountains will get to see. Statues of three incarnations of the water god look over a reflecting pool that is constantly fed from the upper chambers before overflowing down into a stream that crosses the mountain path to get here. A second elevated niche contains a smaller statue of another sacred figure of the water god as well as an altar for ceremonies. Behind the altar is the access to the upper temple. Stairs lead up from here into the open air, past a second pool that is used to consecrate pilgrims making the climb, and finally end at the upper temple area where the waters pool and burbling can be heard from the chamber beyond and above where the waters originate from a magical spring. Behind the spring chamber are the main chambers of the temple where acolytes spend their days and nights and the senior priest manages the temple affairs. Linking the upper and lower temples is the secret temple and source of the corruption here. Many years ago someone transported a young aboleth to the secret temple where it has lived in the secret pool since. At one point it was the secret tool of the priesthood and the temple, but as it has slowly grown and outlived the people who trapped it here, it has become the power behind the temple, pulling the strings from (quite literally) behind the scenes. 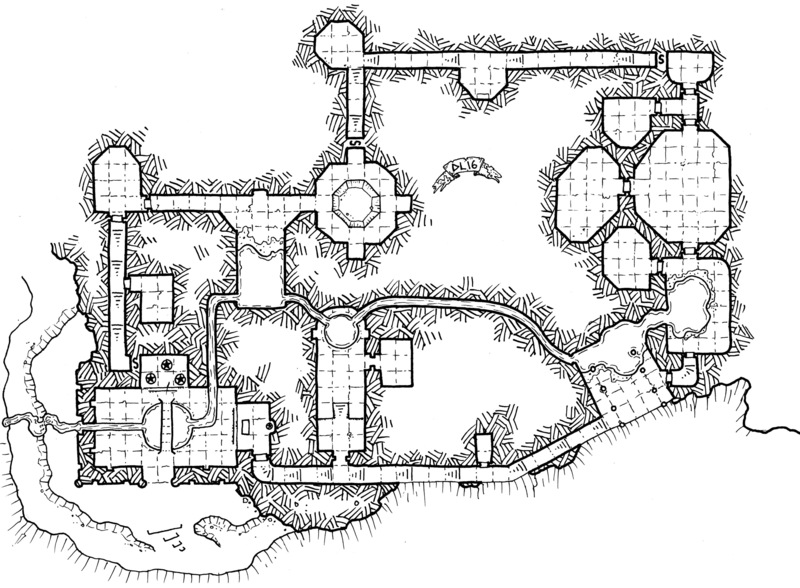 The beast is too large to exit the temple except magically now, and while it controls the residents and priests, its mood is ever fouler as it longs to be anywhere but in this 70′ by 30′ chamber it is trapped within. This map is made available to you under a free license for personal or commercial use thanks to the awesome supporters of my Patreon Campaign. 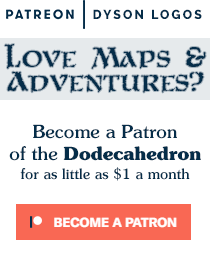 Nearly 400 amazingly generous people have come together to fund the site and these maps, making them free for your use. Very atmospheric! I can totally see this on a seaside cliff above a small town or settlement. The locals are very isolationistic, but the pilgrims probably ascribe this to the constant stream of foreigners they have to deal with. I like the addition of the aboleth; very Lovecraftian (Cthulhoid?) bit, that will be totally unexpected to most groups. Maybe the robes of the priests get more and more voluminous as they rise in rank and age, with the highest priests completely covered in blue and white robes that make them look like they’ve got a cascade of water flowing over them? This is, of course, to hide the skum transformations the priests undergo (shades of the Deep Ones) in the service to the aboleth. Priests eventually leave to “join the god in the depths” — when the skum transformation is complete, they journey into the ocean on the bidding of their master. Lovely map ideas as always. The layout on all the levels has a great flow and sence of purpose. Inspired to transport this to a remote mountain location with glacier melt as the water source. Not sure if I will populate it with mind controlled inhabitants or leave it abandoned from the the second age yet.